On March 29th, USAID/PROLoG organized a meeting of two Judges with law students at New Vision University. 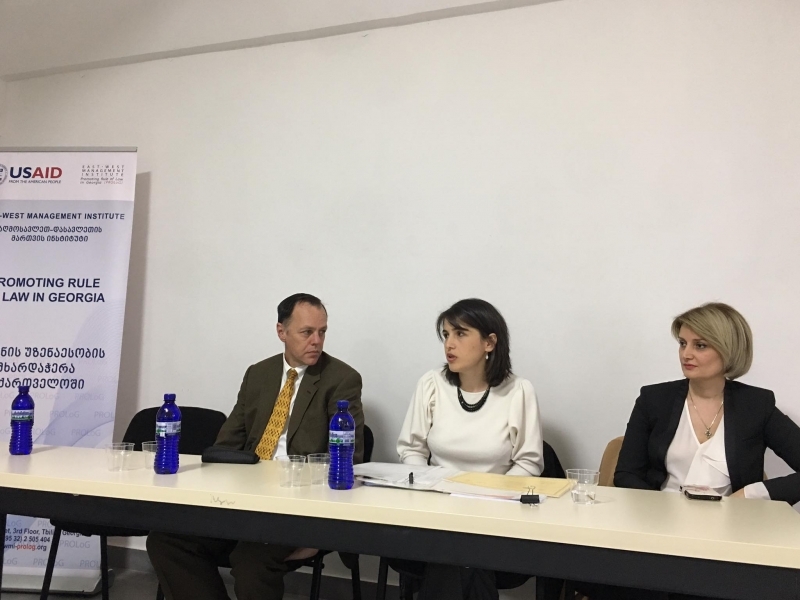 Judge Nino Kanchaveli and Judge Dali Abzhandadze, Alumni of PROLoG’s Judicial Exchange program, spoke about their careers and challenges for women lawyers. Around twenty students from various Georgian law schools attended the meeting, asking a number of questions related to the professional experience of the speakers, values and skills required in the judicial profession, and career guidance. Challenges the woman lawyers may face in the profession was of particular interest to the students. Part of Women’s History Month, the activity aimed to enable dialogue between experienced women lawyers and a younger generation, as well as to raise the profile of women judges in Georgia. 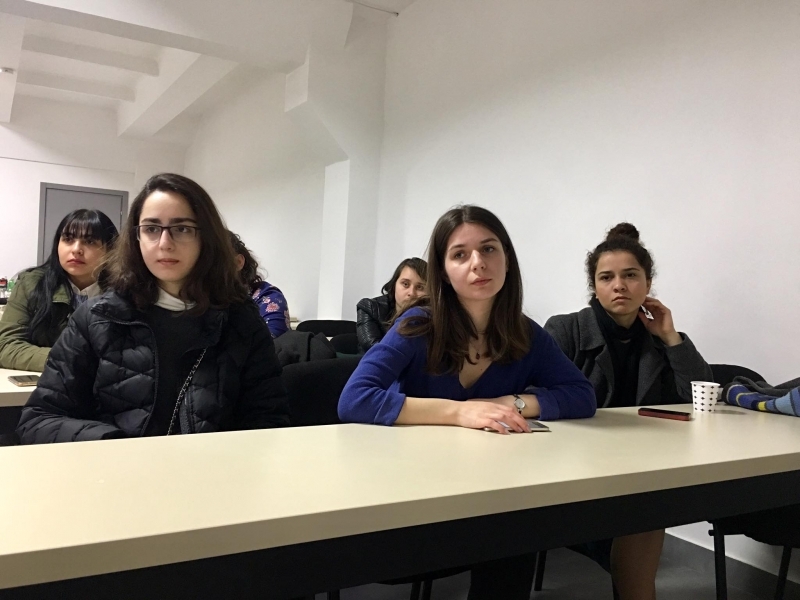 The series of meetings with Georgian law students in various cities will be further supported by involving additional Alumni of PROLoG’s Judicial Exchange Program.